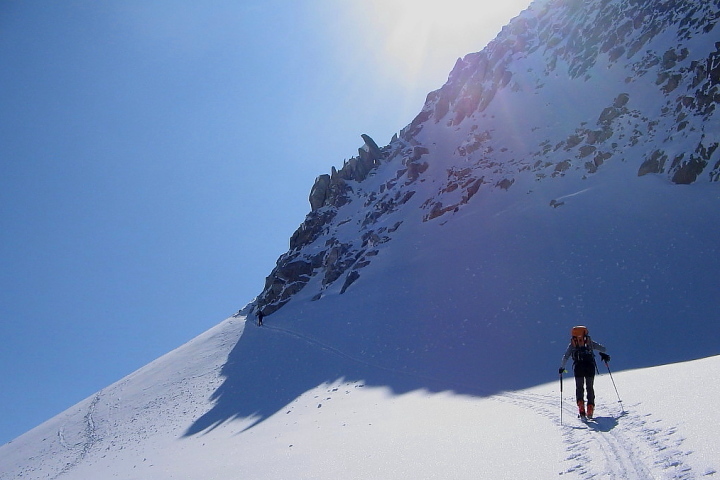 This is the ultimate ski touring adventure holiday in France, taking you deep into the Pyrenees backcountry and up to the two highest peaks of the Pyrenees, Pic d’Aneto 3404m alt and Pic des Posets 3371m alt. 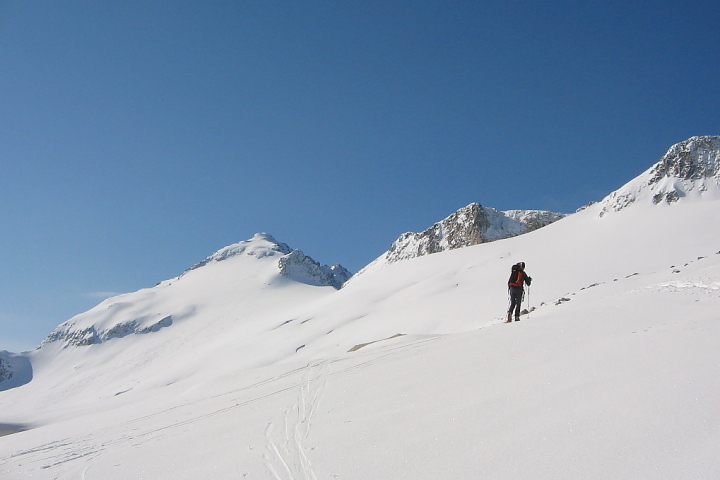 This guided winter ski touring adventure will provide the fit and experienced ski tourer with an exceptional experience in a spectacular natural environment. Ski touring in the high mountains of the Pyrenees requires the confidence and ability to ski in all conditions from deep fresh powder to icey slopes. A knowledge of ropework and abseiling would also be useful. 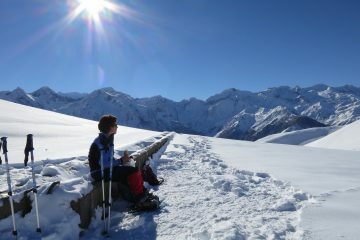 Accommodation for this ski touring adventure will be in guarded mountain refuges where you will sleep in dormitories. Most have hot showers and all provide excellent food. 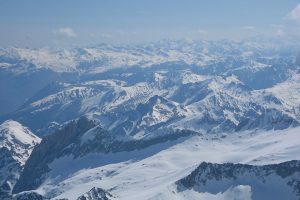 The final itinerary for this ski touring/ski mountaineering adventure will be dependent on snow and weather conditions at the time. After a good night’s sleep your adventure can begin. You’ll be transferred through into Spain and the starting point for your ski tour. Your climb today will take you up to the Refuge d’Estos where you’ll be able to relax and enjoy a good meal before retiring to bed in the bunk room. Today you’ll make a ski tour ascent of the second highest peak in the Pyrenees, Posets, followed by descent to Eriste via the refuge d’Angel Orus. You’ll spend the night at the Hospital de Venasque which, contrary to what you may think, is not a hospital but a mountain refuge! After yesterday’s exertions, today is an easier day in which you’ll enjoy le Tour du Pic de Paderna. You’ll spend the night at the refuge de la Renclusa. Today is the day you have been waiting for. 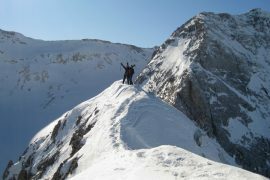 The ski tour ascent of Pic Aneto. 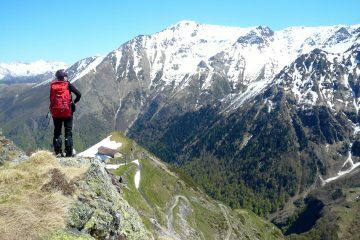 You’ll have an early start from the Renclusa refuge and skin up steep slopes to the Portillon Superior (2870m alt). 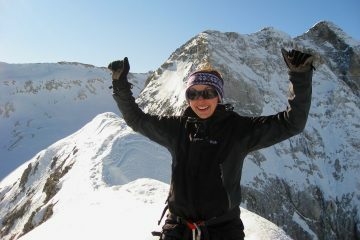 There, you’ll remove your skis and have a short abseil which takes you down onto the wide glacier slopes. You’ll then put your skis back on and head across to the Coll de Coronas (3200m alt). 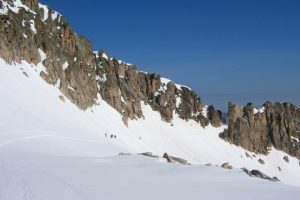 For a short spell, crampons will replace your skis for the ‘mixed’ rocky arete known as Mohamed’s Stairway before the final climb up to the summit of Aneto (3403m alt). 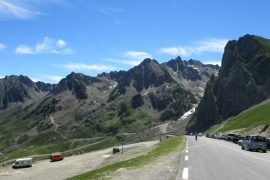 The descent route back to the Hotel de Benasque is via the Barrancs valley.